BlackBookReview.com was a division of The Quality Corner and it was launched in September 2010. The service was designed to review books by African American authors and books that appeal to the African American community. The primary goal of the book review service was to help authors succeed and market their books. The book review service was partnered with a very extensive press release distribution service to all the African American newspapers, magazines, TV and radio stations. 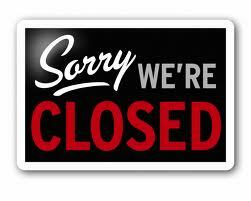 As of February 11, 2013, BlackBookReview.com is closed. 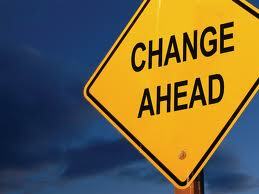 With each new year, we are all prompted to evaluate our goals and the direction that we choose to take. At the beginning of this year, I did just that. As I examined my career path, it became clear to me that the book review service no longer fits in with my goals. Therefore, I made the tough decision to close BlackBookReview.com. It truly was a tough decision. During the time that I have been writing book reviews, I have had the pleasure of working with some amazing people. I have met many talented authors and I've read some wonderful, unforgettable books. I will always cherish the years that I have spent writing reviews. I want to thank all of my clients and colleagues that have supported me. I wish you all much success with your future endeavors. If you are looking for ways to market a book, please visit www.cushcity.com. For press releases, visit www.blackpr.com. Jealousy. Betrayal. Revenge. These three traits can lead to disaster. Jealousy can cause someone to betray a best friend. Revenge can fuel a person in a way that nothing else can. Jealousy, betrayal and revenge – these traits are characteristic of a dramatic storyline. 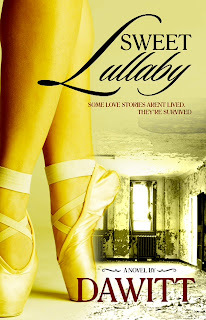 In Dawitt’s novel, Sweet Lullaby, the effects of these three traits are clearly demonstrated. Juwan is a smart, talented young man. He has a bright future ahead of him. However, he has allowed the streets of DC to pull him in a wrong direction. He got involved in selling drugs at an early age. He looks at the drug game as a means to an end. He has a plan to accumulate wealth that will help him when he goes off to college. He has been awarded a full scholarship to M.I.T. A week before he leaves for school, something happens that will change the course of his life forever. Kiesha is Juwan’s girlfriend. She is a very talented dancer. She has dedicated her life to dance. She started taking lessons at an early age and she devoted much time to perfecting her skills. She is also a senior in high school with a bright future ahead of her. Joy is supposed to be Kiesha’s best friend, but her jealousy always gets in the way. Kiesha auditioned for the Alvin Ailey School and she was accepted. On the day of her audition, she meets with a life-changing disaster. 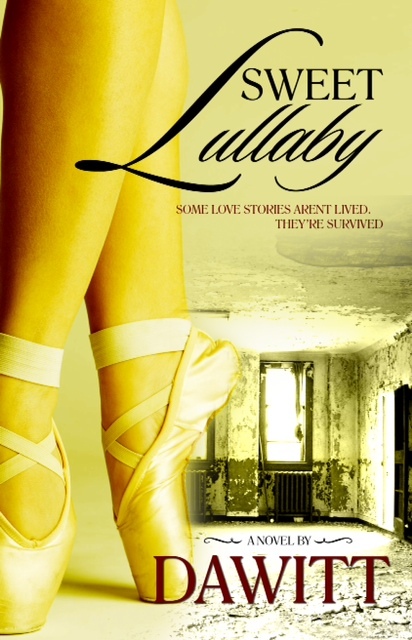 This dramatic tale is full of unexpected twists and turns. It was hard to put this book down. When I had to put it down, I couldn’t wait to get back to it. I thought about this story a lot in my quiet moments. There is plenty of tragedy in the lives of the main characters. The tragedy they experience is familiar to a lot of us. The sad story of drug abuse, drug dealing, prostitution, and homicide infiltrates so many communities around the country. Readers will be able to relate to this story. Through the tragedy, there was some triumph. I feverishly rooted for the characters to find some solace. I kept reading and hoping that there would be a light at the end of the tunnel for Juwan and Kiesha. The reality is that life is not a bed of roses, especially for those of us that grow up in inner city neighborhoods. In the end, this story underscores the resilience of the human spirit. If you have goals and dreams, you can achieve them despite setbacks. Dawitt is a very talented storyteller. This book was written in such a personal way. The author really put his heart and soul into the writing. It is an entertaining story, but it is so much more than that. It will make the reader think. After reading this book, you will walk away with more understanding and empathy for the struggles that people have to endure. Overall, this book is an excellent story of tragedy and triumph. I’m confident that all readers will appreciate and enjoy this book as much as I did. There are many views of change. Some think change is good. Others are afraid of change. I have had very mixed views of change. The Quality Corner has gone through a lot of changes recently and I'd like to share them with you. In February, I made the decision to close my eBay store. It was not an easy decision. I thought long and hard before I made the final decision. You can read all about that decision here. Looking back, I know it was the right thing to do. After closing the eBay store, I was faced with a decision about the direction of my business. In the book industry, a massive shift has been made toward ebooks. I have grown to love ebooks, so I could understand why they were growing in popularity. I chose to keep up with the trends. I was determined to be a forward-thinker. I did not want to get stuck with one way to do things. So, I tried to sell ebooks. I made links available on my blog to purchase ebooks from popular retailers like Barnes & Noble and iTunes. I was very excited about this opportunity. However, my excitement quickly waned. Ebook sales for me paled in comparison to the sales I made on eBay with books in print. I became discouraged. Although I have loved the experience of owning an online business and working from home, there have been some downsides. One of the biggest issues for me was that I missed working around people. Although I craved human interaction, I was very skeptical about going back to work in an office. I absolutely loved the freedom that working from home gave me and I just was not willing to give that up. So, again I was at a crossroad. At this time, I met a Notary Signing Agent. I had never heard of that profession before. She told me that she loved her job. I began to do research about this field. It sounded like something that I would enjoy. I found out that I would first have to become a Notary Public and then become certified to be a Notary Signing Agent. I decided to give it a try. I took a couple of classes and passed the required tests and I became a Notary Signing Agent. I started a new business - Quality Notary Services. I began working my new job this summer and I love it! To find out more about my new profession, visit my website at www.qualitynotaryservices.com. So, what does that mean for The Quality Corner? Well, I'm still passionate about books and I always will be. I will continue to blog about books and direct my readers to the best places to purchase my favorite books. I still have my connection with the large book distributor that I have worked with for years. So, I will maintian my relationship with local clients, including Columbus City Schools. However, I will discontinue my bi-weekly newsletter as of August 15, 2012. BlackBookReview.com has been operating as a division of The Quality Corner. BlackBookReview.com will remain in operation. I have made a few changes to the products that I offer. You can find out more about those changes by visiting www.BlackBookReview.com. I would like to thank all of my clients, business associates, friends and family for all of your support over the years. Since The Quality Corner opened in 2008, it has been a roller coaster ride. Thank you for taking the ride with me. It has been my great pleasure serving you and I look forward to continuing that relationship! “I believe the children are our future,” sang the late Whitney Houston. How true those words are! We look to the next generation to be our future leaders. Young people need direction today in order to be good leaders tomorrow. Carolyn Mattocks has done an excellent job providing that direction with her latest book, I Can Do Anything, Too. This book was written specifically for Latino students in grades 8-12. It is a guidebook that examines several careers and it helps students determine their interests. 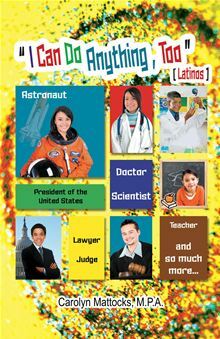 The careers discussed throughout the book demonstrate that Latinos are successful in many fields. Some of the fields that are discussed include: Math, Science, Medicine, Politics and Writing. Specific examples are given of famous Latinos in each career field. Students are helped to see that they are not limited, but they truly can do anything. The book contains activities that help the student to explore the skills needed for each career. The student is encouraged to assess their skills to determine if they would excel in a certain field. Resources are listed so that students can do additional research on careers that interest them. One section is devoted to recognizing the leadership of Hispanics and contributions they’ve made to American history. The book states, “The Hispanic immigrants and individuals born in the United States continue to add richness to all aspects of the culture of the United States through their language, customs, ideas and vision for a better world for all.” After reading this book, Latino students will have more reason to take pride in their heritage. Carolyn Mattocks has a love and passion for History. She has worked in diverse settings such as federal agencies and academic institutions. She has received various honors and attained many achievements. Her knowledge and experience is evident in her writing. Mattocks states, “The I Can Do Anything, Too book promotes an understanding of the past by demonstrating that when children better know their history, they gain a positive self-image which leads to self-confidence and self-esteem.” I couldn’t agree more! This book is an excellent tool to promote students’ self-confidence and to help them see that they can achieve anything. I enjoyed this book very much and I know that every reader will appreciate it as much as I do.